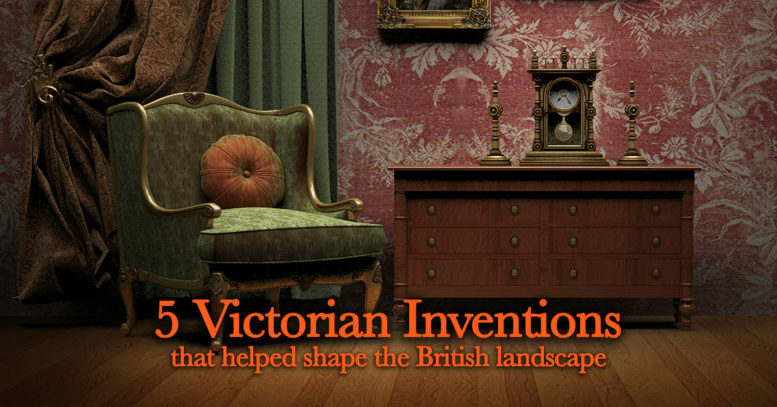 The Victorian era was a time of great inventions and discoveries. Numerous Victorian inventions have shaped how we live and work, but there are several that impacted on how the country looked too. Here are 5 of the best-loved ones. Sir Rowland Hill, an English teacher and social reformer, came up with the idea for the adhesive postage stamp in 1847. It was in response to a postal system that was both corrupt and confusing. Proof of paid postage was signified by ink and hand stamp, whilst mail was paid for by the recipient – something they could easily refuse to do. The Penny Black stamp, with the distinctive profile of Queen Victoria came into circulation in 1840. The postage stamp led to Post Office pillar boxes being erected throughout the land. The first box was erected in Jersey in 1852 – it was followed a year later, by the first ones on mainland Britain. Rural areas often had wall boxes, with these first appearing in 1857. Scottish inventor and US citizen, Alexander Graham Bell, was awarded a patent for his telephone creation on March 7th, 1876. Telegram message traffic was expanding and a new system was needed to cope with communication demands. Bell, together with his assistant, Thomas A. Watson (an experienced electrical designer and mechanic) transmitted the first successful voice call, three days later. Sir William Preece, the Post Office’s Engineer-in-Chief, bought the first pair of telephones to Britain in July 1876. By 1878 The Telephone Company Limited has been formed, and telephone lines started to be erected, along with two more telephone exchanges. Bell’s invention led to the iconic red phone boxes that were situated in all urban and suburban areas. Designed by Sir Giles Gilbert Scott, these freestanding call offices (otherwise known as ‘kiosks’) were made of wood, but were standardised in 1924 to the cast-iron red design we all know and love. Joseph Monier invented reinforced concrete in 1849. He was the first to produce iron-reinforced concrete as a technique for constructing buildings and bridges. Concrete itself had been used for construction as far back as the Roman Empire, but it lacked cohesive strength. Reinforced concrete however, had better inner cohesion, making it possible to build load-bearing structures with it. The first skyscrapers, built from reinforced concrete, began to appear in 1904. Although electricity has always been in existence, it was the work of Michael Faraday that led to some of the biggest changes to the British landscape. His work on electricity and magnetism led to him discovering electromagnetic induction, the principle behind the electric transformer and generator, in 1831. This discovery changed how we viewed electricity. It was no longer just a curiosity and, instead, became powerful technology. His work enabled so many great inventions by Victorian inventors to be created – including lighthouses, electric street lights (1878), the home light bulb (1879), the first railway (1883), the first electric tram (1884) and underground (1890). The first hydroelectric power station was built in 1891, designed to produce electricity from fast flowing water – and the rest, they say, is history!